Sometimes you don't have to build big MOC's to be create something great. LEGO and Star Wars MOC-builder Tim Goddard a.k.a. 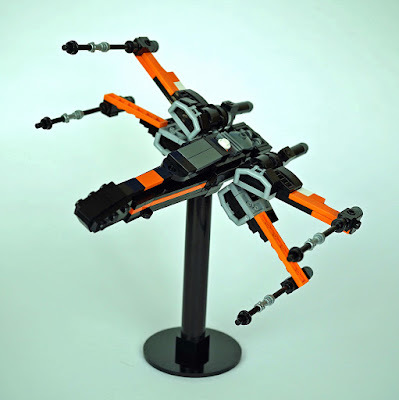 Rogue Bantha has recently shared this beautiful midi-size x-wing from the Star Wars movie: The Force Awakens in his flickr.com photostream. The creator managed to capture the look of the movie vehicle very well. Usage of angled bar pieces creating the engine sections is also very creative.